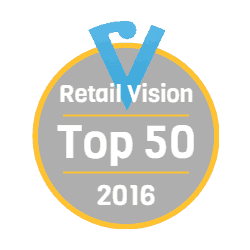 D4R have been featured within Retail Vision's top 50 retail blogs 2016 and we're over the moon! We like to pride ourselves with our blog by making sure we always keep it up to date with new retail trends, design innovations and D4R updates. It's great to know that we're helping people in their search for retail inspiration and news. Make sure you continue to stay tuned to keep up to date with us to find out what's happening in the world of retail design.